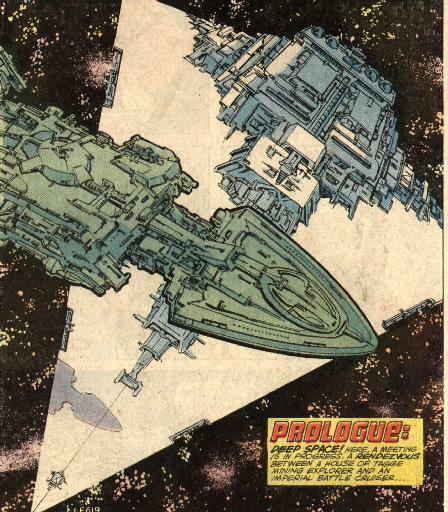 This page considers the Imperial survivors of the Battle of Yavin. Although Grand Moff Tarkin was lost when the Death Star exploded, some of the station's millions of other personnel survived. Certainly a majority perished, but there was at least a small subgroup of men who anticipated the calamity. Tarkin vainly remained in his control room, but other tacticians knew that it would be wise to prepare escape ships. 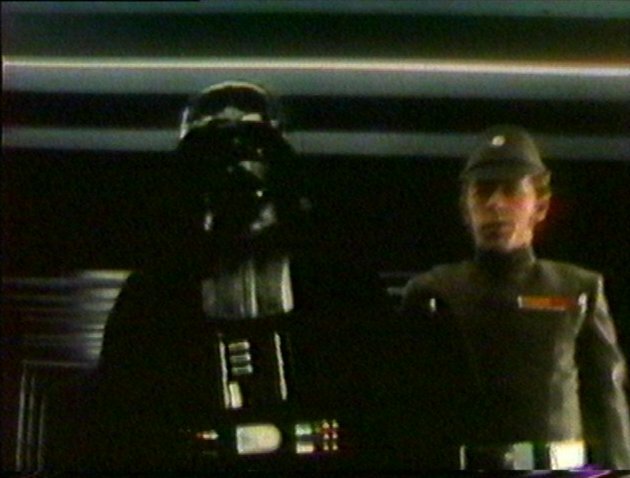 General Ulric Tagge commanded the ground forces assigned to the Death Star. A hardened skeptic of both the Grand Moff and Lord Vader, he is on record for his accurate assessments of the rebel danger. He was not in the superlaser control room with Tarkin, he would certainly have received analyses of the rebel fighter tactics, and he had authority to act upon his knowledge. Bast was another one of the senior officers aboard the first Death Star. He appeared to be subordinate to General Ulric Tagge and an aide to Grand Moff Tarkin. His insignia indicate a rank approximating that of Major General. He is best known as the insightful officer who tried to inform Tarkin about the discovery of the Death Star's vulnerability to starfighter attack. Evidence from the STAR WARS Holiday Special proves that, like Lord Vader, Bast actually survived the battle station's destruction. Others may have survived as well. Some TIE pilots may have survived the battle (off-camera). Anyone close to a hangar with a ready ship may have had at least a small chance to launch during the minute or more between Skywalker's lucky shot and the moment when the main reactor exploded. One such person was Colonel Maximillian Veers, who would later earn fame as the conqueror of Hoth. Michael Allen Horne for the scans of General Tagge's star battlecruiser. Shay Pierce for the Veers screenshot from Force Commander . Tyler Saxton for the use of his computer and video digitising facilities, the provision of which required that he make a journey from Melbourne to Sydney and back again. Bast was one of the distinguished and capable officers who was chosen for a command position aboard the first fully operational Death Star. Known to his men as "Chief Bast" this General was the chief of staff or operations chief of many of the Death Star's most important departments. He was ultimately responsible for many functions aboard the ill-fated battle station. 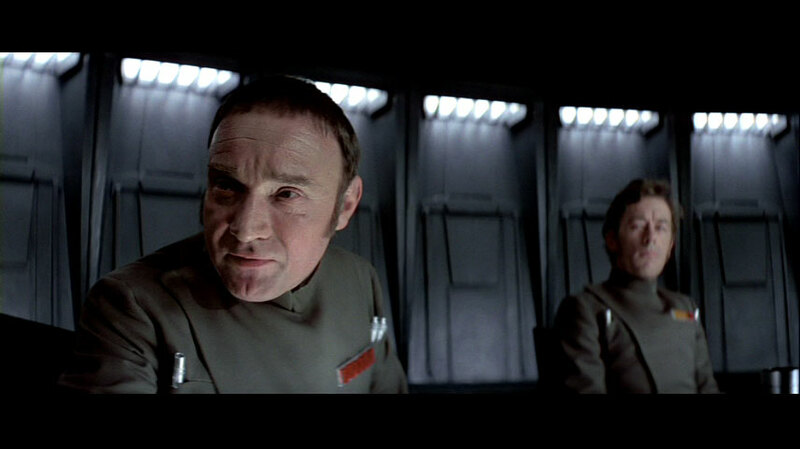 A member of the station's Imperial Army contingent, [deduced from the fact that he outranks Admiral Motti, the station's senior naval representative] Bast appears to have been primarily responsible for the Death Star's defenses and the battle analysis at Yavin in particular. 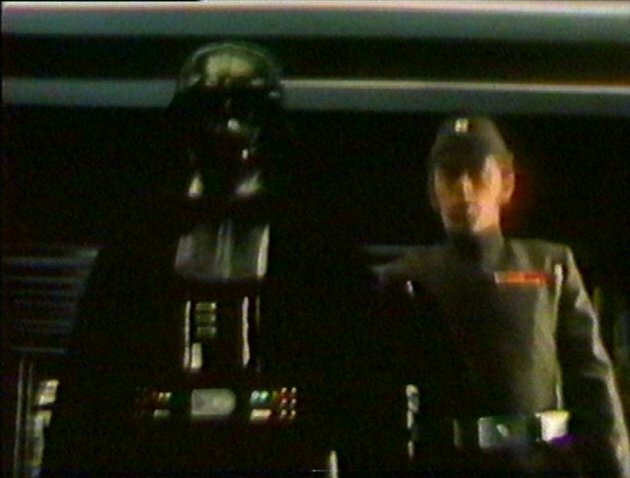 He also appears to have been remotely responsible for overseeing the search for rebel droids on Tatooine [as indicated by a scene with Lord Vader deleted from A New Hope ]. Like his immediate superior, General Tagge, Bast is a shrewd and intelligent man who rarely underestimates an enemy. A passion for big game during his youth taught him a hunter's patience and cunning. Judging by his stance, he seems to have been quietly supportive of Tagge in expressing alarm at the rebel spies' theft of the Death Star plans. Unfortunately Tagge's well-founded and prescient caution regarding the rebels seems to have lost both men the favour of Grand Moff Tarkin, whose ambition and complacent pride blinded him to the vulnerability of his super-weapon. Tagge's support for the retention of the Imperial Senate certainly would not have helped endear anyone to Tarkin either. When the rebels at Yavin only sent two squadrons of single-pilot starfighters to assault the Death Star, Bast must have immediately suspected that the enemy might indeed have discovered a peculiar vulnerability, as Gernal Tagge had feared. Bast and his staff monitored the battle very closely, so that he was able to identify the critical design fault of the thermal exhaust port immediately after the rebels made their first attack run. Grimly confident of his analysis and fearful of the reaction which it would provoke, Bast carefully attempted to inform Tarkin of the news. Bast asked whether the Grand Moff's ship should be prepared in case an emergency evacuation proved necessary, but Tarkin would hear none of it. Bast retreated. Within the following minutes, General Bast evidently made what must have been the hardest decision of his life. By Tarkin's direct order, the Grand Moff's ship would not be readied, but neither had Bast been explicitly forbidden from making his own escape. Bast would probably have faced a firing squad for desertion if the danger proved false, but his professional confidence in the analysis was decisive. Bast somehow made a courageous and hasty escape, giving him the distinction of being one of the few Imperials to have survived the Battle of Yavin. Bast was probably the only survivor who understood the precise nature of the design flaw exploited by the rebels. According to the recollections of Death Star designer Bevel Lemelisk (reported in Darksaber ) the Emperor was aware of the thermal exhaust port fault very soon after the battle station's destruction. Determining this detail independently would have required time-consuming and painstaking analysis of whatever debris was left near Yavin. Only a surviving member of Bast's staff or Bast himself could have carried this specific information along with the basic news. The wisdom of Bast's analysis at Yavin seems to have spared his career as well as his life. Lord Vader, whose high appreciation of good officers and ferocious intolerance of the kind of incompetence which created the Yavin debacle is well known, might well have spoken in Bast's defence. In any case, General Bast was alive and well several months after the Death Star's destruction, working with the forces under Lord Vader's command. At that time he was responsible for a part of the hunt for rebels which led to the Wookiee homeworld of Kashyyyk. 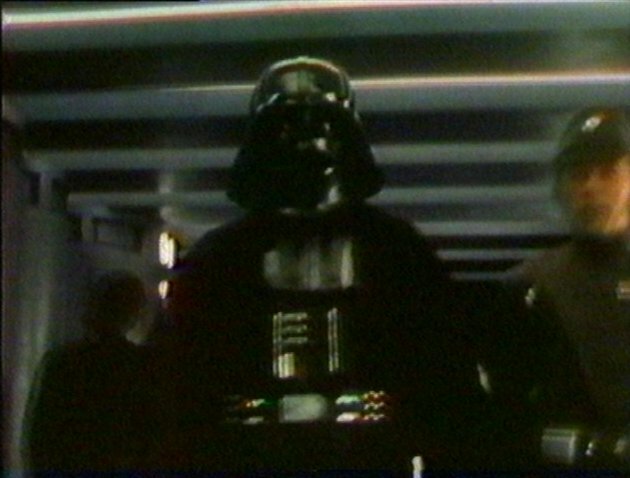 Walking through a Star Destroyer corridor at the beginning of The STAR WARS Holiday Special , Bast gave Vader a progress report and received instructions for a planet-wide curfew and house-to-house search (which, unfortunately for the Wookiee populace, coincided with their most sacred holiday). It is interesting that Bast's stance in the presence of Lord Vader is confident as well as respectful. He does not show the terror for his life which afflicted some officers of Vader's fleet in The Emprie Strikes back . Perhaps, like the formidable General Maximillian Veers, Bast understands that his proven success and competence keep him safe from the Dark Lord's wrath. The ultimate fate of General Bast remains unknown, and he has not yet been seen in action in the later STAR WARS adventures. It seems likely that this shrewd and intelligent officer rose steadily higher in the ranks of the Imperial Army. During a controversial discussion in the senior officers' conference room aboard the Death Star, Bast sat discretely in the background beside General Tagge. Bast appears to have privately agreed with Tagge's concerns about the danger arising from the rebel theft of the Death Star plans. On the Death Star Overbridge at the Battle of Yavin, Bast anxiously hurried to report his alarming discovery to Grand Moff Tarkin. Bast's card from Decipher's STAR WARS Customizable Card Game . 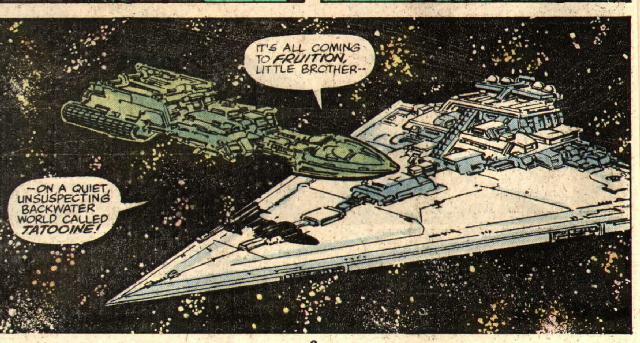 The Marvel STAR WARS comics reveal that Bast and Vader were not the only important Imperial survivors from the Battle of Yavin. General Ulric Tagge appears in many campaigns and adventures after A New Hope , including complicated intrigues between the TaggeCo family corporation, the Rebel Alliance and Lord Vader. He most often traveled aboard a star battlecruiser, which was another ship obeying the design aesthetic known from the Imperial star destroyers, except on a greater scale. Tagge's ship has nine primary engines rather than the three of the movies' destroyer. Lord Vader also used vessels of this class during the period between the destruction of the Death Star and the completion of the Executor. There are two likely explanations for the General's survival. The first possibility is that he was not aboard the battle station when it was destroyed; he may have been aboard a starship accompanying the Death Star, or on a mission elsewhere in the galaxy. 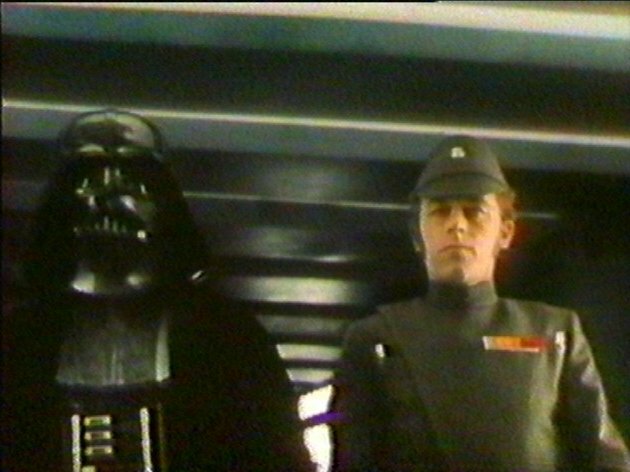 Tagge was not seen in any of the Death Star scenes after the station's testing at Alderaan. The second possibility is that he oversaw and witnessed the battle from the same tactical command centre as Bast, in which case he knew about the station's critical vulnerability. In fact Bast may well have been Tagge's messenger to Tarkin, and they may have shared the same escape pod or ship when Skywalker struck. General Ulric Tagge meets his elder brother, Baron Orman Tagge, some time in the months following the Battle of Yavin. General Tagge's ship is a huge star battlecruiser, with features hinting at a scale substantially greater than a star destroyer. The Tagge mining explorer is itself nearly the size of a small destroyer. 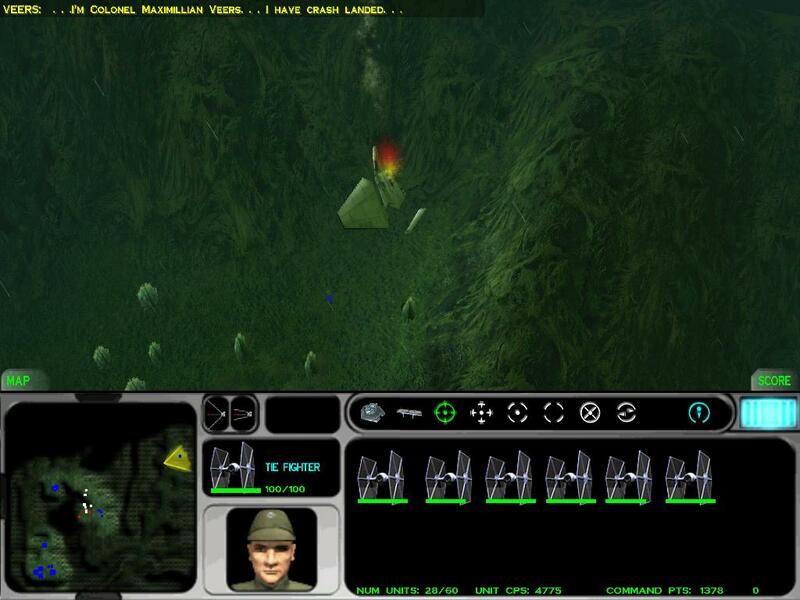 Another, possibly related revelation appears in the game Force Commander . 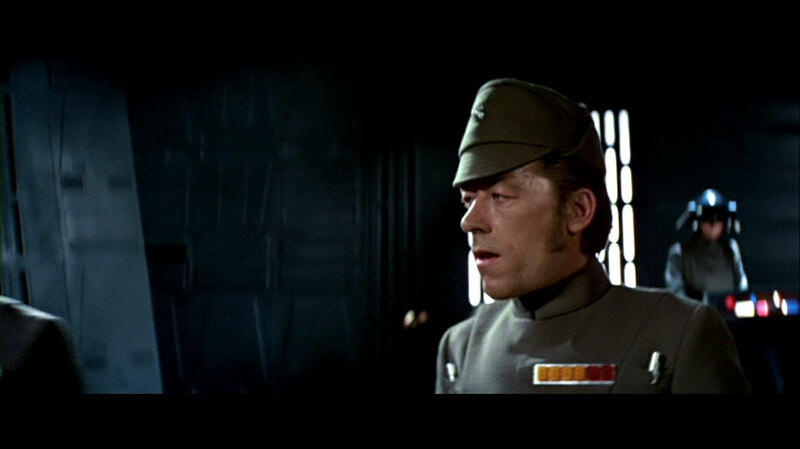 Maximillian Veers, who was a General attached to Lord Vader's taskforce in The Empire Strikes Back , was also at Yavin, ranking as a Colonel. He appears to have been a Death Star survivor; his shuttle crashed on Yavin 4, and one of the game missions revolves around his rescue. He may have departed the Death Star at the same time, by the same means and for the same reason as Tagge and Bast. Colonel Veers' crashed shuttle, as seen in Force Commander . For details of my continuity policy refer to Continuity, Canon and Apocrypha. The Art of STAR WARS: A New Hope , Del Rey. Darksaber , Kevin J. Anderson, Bantam Books. Red Queen Rising , Marvel STAR WARS #36 , Archie Goodwin, Marvel Comics. Return to Tatooine , Marvel STAR WARS #31 , Archie Goodwin, Marvel Comics. The STAR WARS Holiday Special , Lucasfilm Ltd.
STAR WARS V: The Empire Strikes Back , George Lucas et al., Lucasfilm Ltd.
STAR WARS: The Essential Guide to Characters , Andy Mangels, Del Rey. Last updated 4 February 2001.